Anyone who follows Christ, who walks in faith and confesses Him in this fallen world, is going to become the target of the wicked. I concluded long ago that the fundamental reason so many abuse victims are abuse victims is because they are Christians and their abuser, in spite of his charade of “godliness,” is a child of the devil. He hates the truth, hates the light, hates the Lord whom his victim follows. I have seen it and experienced it as well in local churches. The Psalmist’s question, “why do the nations rage?” (Psalm 2) is a question I have often over the years asked in this form, “why do the church members rage against the Lord and His truth?” EVERY local church that I have been called to pastor, EVERY single one, required intense battle. Not with enemies outside, but with those inside the visible church. Now, these evil ones parading in their unholy charade disguises, would have us believe that we are the problem. That we are too narrow, too judgmental, too unfriendly, too…..you fill in the blank. Domestic abusers make just such accusations as well. 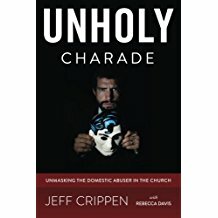 I have had hypocrites sit in my office more than once, putting themselves off as eminent saints, and tell me “unless you stop doing what you are doing, unless you start preaching sermons that we like….this church is going to just dry up and blow away.” The intensity of these kind of attacks increased as we began our present ministry of exposing domestic abusers hiding in the church. But the Lord has promised to sustain, protect, and provide for His people. If we truly know His name, He WILL protect us. He WILL hear us and rescue us. And in the end, we will not be ashamed. We will never find out that it was all a sham, that His promises were false, and that, as Paul said, “we are of all men most to be pitied.” Nope. Never going to happen. Christ is risen just as He said. Psa 7:11-17 God is a righteous judge, and a God who feels indignation every day. (12) If a man does not repent, God will whet his sword; he has bent and readied his bow; (13) he has prepared for him his deadly weapons, making his arrows fiery shafts. (14) Behold, the wicked man conceives evil and is pregnant with mischief and gives birth to lies. (15) He makes a pit, digging it out, and falls into the hole that he has made. (16) His mischief returns upon his own head, and on his own skull his violence descends. (17) I will give to the LORD the thanks due to his righteousness, and I will sing praise to the name of the LORD, the Most High.